This middleweight definitely goes the distance. The twisties are yours to devour anywhere in the country aboard the new 85 bhp F 800 ST, which is the touring version of the lithe new F 800. With a full fairing, high windshield and touring oriented ergonomics with raised handlebars, bombing down any road you choose is as comfortable as it is thrilling. Two 320 mm diameter front brake disk and Brembo four piston hydraulic calipers, and with optional ABS every ride stopping power is guaranteed. Add optional touring cases and heated grips and you’ve got a bike that is fast, flickable, and above extraordinarily capable. No matter where you want to ride, the sharp-handling F 800 ST gets you there, mile after mile. 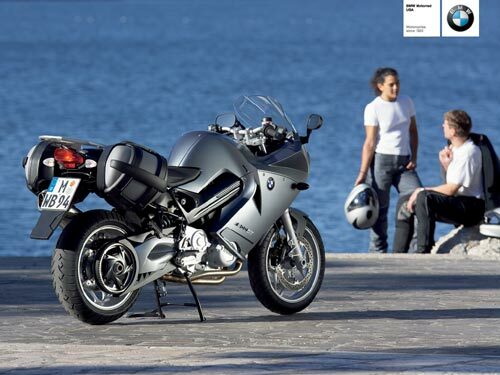 “Serious touring” – the BMW F800ST shows you how much fun you can have with common sense. Riding a motorcycle is simply great fun, whether you take a trip through the city or a long holiday trip with luggage. This kind of versatility requires an all-around motorcycle with economy, reliability and no complications. For pure fun on the road, the BMW F800ST is just such a universal talent, combining pleasure and common sense. *Freight, retailer preparation & taxes extra. belt drive. 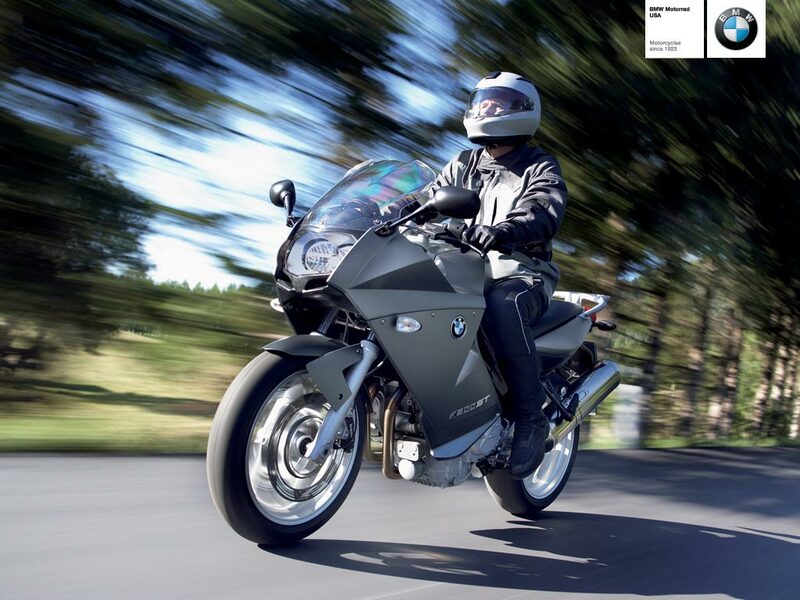 Where curves are concerned, the general consensus is the more, the merrier – at least where the chassis of the BMW F 800 S/ST is concerned. Telescopic forks at the front, aluminium swinging arm at the rear, and away we go. The new F 800 boasts a sporty half fairing in the S version and a full fairing suitable for touring in the ST version. This machine demonstrates that you can only really have fun if the technology can be taken seriously.